We spend so much time focusing on our hair. Do we have split ends? 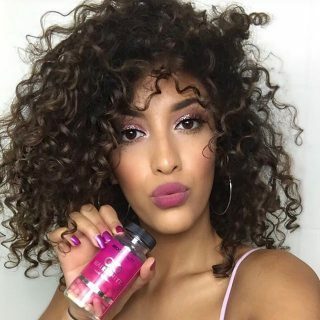 Is our curly hair too dry or unruly? Are we shedding too much? While these are important questions, focusing on scalp health might be the key. “Hair follicles need natural oils from the glands that surround them to function,” hair restoration surgeon Robert Dorin explained to Prevention. Here are 8 more reasons your scalp health impacts hair growth – and how you can create a better environment for gorgeous hair. Every product you use on your hair has the ability to shift the pH balance in your scalp, and it’s your pH balance that provides a healthy environment for new hair growth. Not sure what’s going on up top? 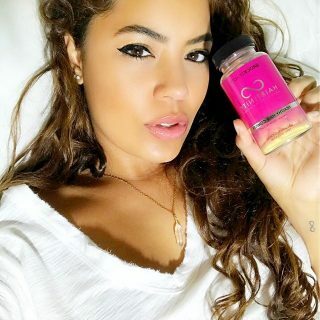 According to Bryant, ladies who suffer from dry hair or dandruff most likely have alkaline pH levels, while curly-haired girls tend toward higher levels of acidity. In truth, most cosmetics companies are pretty good at testing for pH balance before they roll out a new product. 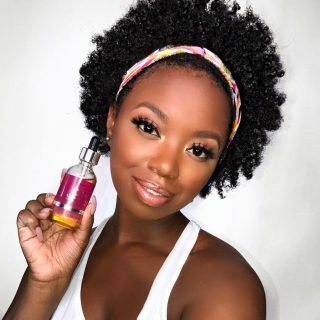 “We’ve known for ages that to prevent hair from feeling dry and looking dull, we have to balance the pH with certain ingredients,” cosmetics chemist Ni’Kita Wilson told Refinery29. Still, it’s always important to check out the ingredients in your shampoo and conditioner. Make sure you’re using the right product for your hair type. Feeling itchy? Dandruff or winter-dry skin are common causes of flaking, but relieving that itch could create bigger problems for your hair. Yikes. Time to break out the zinc shampoo! Major dryness can also be a side effect of poor diet. If you’ve been staying away from avocados and olive oil to try and slim down, you might be accelerating hair loss or damage, says dermatologist Karen Ansel. The next time you’re at the grocery store, stock up on salmon, walnuts, or flax oil, so you can recalibrate and nix the itch. 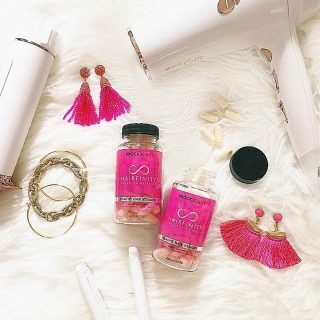 Good hair elasticity is an indication of the overall health of your hair – if your hair is elastic, it means it has the right amount of both moisture and protein. Your hair is probably soft and strong – perfect for a great hair day. Maintaining a healthy scalp can help you ensure your hair gets the proper amount of natural oils – and moisture – that it needs. A dry scalp will irritate your follicles, while an overly oily one leads to build-up. Neither of these conditions will help your hair stay strong. To check in on the elasticity of your hair, do a quick shower test, suggests Nick Stenson, the artistic director for Matrix. Taking proper care of your scalp is only bound to improve the elasticity and overall strength of your hair, too. Who doesn’t love a good scalp massage? Turns out, these heavenly treatments are good for more than just relaxation. 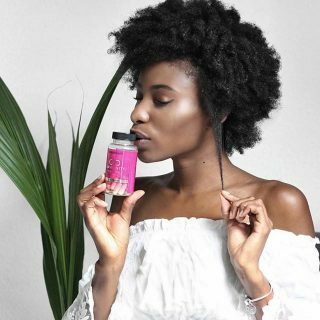 “Blood flow to the hair cells means healthier hair growing out of your scalp,” stylist Triana Francois told Huffington Post. Scalp massage is especially important for women who suffer from conditions like dandruff or scalp build-up, says trichologist Philip Kingsley. “Scalp massages aid in the removal of dead skin cells from the scalp – and a flaky scalp is known to worsen hair loss in certain individuals,” Kingsley explained to Huffington Post. Not to mention, it’s an extra chance to relax, chill out, and enjoy a moment of self-care. Yes, scalp build-up is as gross as it sounds. 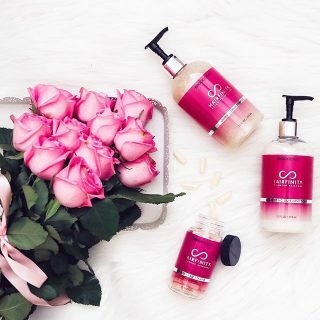 A sign of an unhealthy head, this problem occurs when you’re not shampooing often enough, causing oil and product to accumulate and irritate your hair, or when your scalp is too dry and the extra skin cells aren’t being exfoliated away. This is a terrible environment for hair growth, says dermatologist Doris Day. “A buildup of product or excessive dandruff on the scalp has been shown to clog hair follicles, and if it’s bad enough, it can be difficult for hair to grow,” Day explained to Prevention. The solution? Scale back on product use, find a shampooing routine that works for you, and address scalp conditions like dandruff head-on by consulting with your dermatologist. “Although no definitive cause has been identified, a yeast (fungus) called malassezia that is in the oil secretion on the skin, seems to be the most likely culprit [of seborrheic dermatitis],” reports Dr. Mona Gohara at Good Housekeeping. “Some predisposing factors include Parkinson’s, depression, diabetes, a weakened immune system, and obesity,” Gohara added. Since this condition is exacerbated by extra oil, it’s important to protect your sensitive scalp. Hit the showers after you exercise to remove extra build-up, or take some time to relax if you’re having a rough week at work. It might be embarrassing, but if you’re noticing flakes, your scalp is trying to send you a message. “Hormonal fluctuations, elevated stress, poor nutritional intake, and not cleansing enough all contribute to dandruff, a fungal infection on the skin,” trichologist Elizabeth Cunnane Phillips told Prevention. If the cause is dandruff-related, an anti-fungal shampoo should calm the urge to scratch. And if you’re suffering from dry skin, a conditioning mask or hot oil treatment should help you feel relief. “Many women don’t use conditioner on their scalp because they’re afraid to clog pores or weigh down fine hair,” dermatologist Francesca Fusco explained to Allure. But don’t believe the naysayers, Fusco suggests. You can get away with applying conditioner on top of your head, especially in the winter months. Just like other sensitive skin areas, your scalp sometimes needs a little bit of extra TLC. There are a lot of conflicting messages online about shampooing, and the dry shampoo fad has made it worse – especially if it means you’re avoiding regular showers. “[Dry shampoo] deposits substances to coat the follicle that can build up,” dermatologist Sonia Batra told The Atlantic. And if the scalp is irritated and inflamed from build-up, it’ll completely shut down new growth. Don’t just rely on dry shampoo to get you through a busy week. Remember to shower regularly, cleanse your scalp to prevent build-up, and keep healthy hair where it belongs: on your head. Although scalp problems can cause plenty of embarrassment, they’re more common than you might think – so don’t feel bad if one of the issues we’ve covered happens to you. Talk to your dermatologist so you can identify and treat the (often very treatable) concern before it causes bigger problems, like inflammation or even hair loss. Most importantly of all, treat your scalp with the TLC it deserves. Everything from hot oil treatments in wintertime to scalp massages will help you feel like a queen – and boost new hair growth, too.